For many, the potential harbored in a single sip of coffee means conquering that morning meeting, finishing work reports, and having that pick-me-up when it seems the work day would never end. Yet “Caffeinated,” a documentary that debuts this week, will cause many to rethink their regular cup of joe. 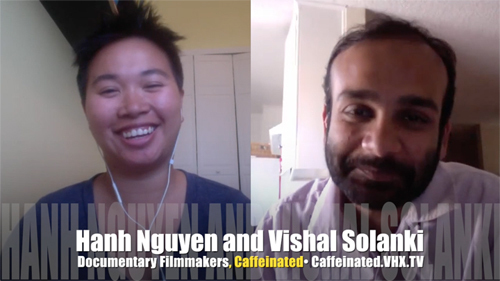 If the life of a cup of specialty coffee were to flash before its eyes, it would be in the form of “Caffeinated” by filmmakers Vishal Solanki and Hanh Nguyen. “The thing about coffee is that every step requires this amazing focus and incredible attention to detail. It’s taken for granted by most people, and that’s the thing that appeals to me most about coffee because it’s this incredibly exotic thing with this incredible backstory going back to Ethiopia and touches Indonesia, Latin America, colonialism, and modern agricultural exchange that’s sitting there on their breakfast table every morning,” said Peter Giuliano, Director of Symposium at Specialty Coffee Association of America (SCAA), in the film. Through one sip of coffee, people are connected, but for a brief moment, to the faraway lands from which the beans were grown and to the many hands that helped to transform the beans to brew. With the help and support of Intelligentsia Coffe’s Geoff Watts, Solanki and Nguyen conducted over 165 interviews to tell the stories of the hands that planted, roasted, and crafted the drink which fuels societies around the world. “Caffeinated” depicts a narrative of the social and cultural landscape behind coffee. Throughout the world, as the film details, coffee experiences range from an everyday morning routine to afternoon gatherings at the souk and social connections made in modern cafes. “The idea of coffee culture is interesting, because it eliminates the extrinsic attractions of coffee, and helps us focus on its intrinsic contributions in our daily lives. It somewhat makes it more complex and helps us understand our role in it better, in the coffee chain,” said Solanki. American coffee in the late post-war period was defined by the tepid mud water served at roadside diners and commercial coffee grounds from grocery stores, but specialty coffee has been making a comeback since then to not only redefine what coffee should taste like, but also revitalizing the social interactions that would center around enjoying coffee. Unlike commodity or commercial-grade coffee, specialty coffee is defined by the hands involved in the processing of coffee from its planting to its picking and careful milling, drying, and roasting; a journey that defines its flavor and one which led Nguyen and Solanki from perceived coffee meccas like Seattle, Portland, and the Bay Area, to the fragrant coffee bean farms in Nicaragua and the mountains of Guatemala. The coffee farmers in “Caffeinated” methodically plant and nurture coffee beans paying close attention to climate, ripeness, milling, drying, sorting, and doing most by hand. “[Q]uality is something that can be constantly worked on. It is not accidental or depending solely on natural causes. There is a profound relatedness between growers, barista, roasters, consumers, and so on, and if we all realize our role in the choices we make, we can ensure a sustainable future for specialty coffee,” said Solanki. “When Vishal and I first started, we decided to make coffee culture the focus of the film because we were interested in learning and discovering what the culture is about. I had worked as a barista for three months for research. I knew if we wanted to make a film about coffee then I knew I needed to [immerse] myself in it. Within a short period, I went from drinking coffee occasionally to falling in love with coffee. It opened a whole new world into the specialty coffee culture that I didn’t know existed,” said Nguyen. Nguyen recalls a distinctive cup of coffee grown and nurtured by the women coffee growers in Nicaragua, and brewed gently over firewood by Ana Maria Narbae, a farmer from a Nicaraguan women coffee growers’ co-op Soppexcca. In Seattle, both filmmakers named the macchiato at Espresso Vivace as an unforgettable experience. “Our respect for the drink has increased manifold. It is like we are in a relationship with coffee. It is a love affair. We know each other better, we know each other’s strengths and weaknesses, and we support each other to keep us happy,” said Solanki. “I hope the audience gain a much more appreciation for coffee and the journey it took to have their morning cup, and I hope this will inspire them to think of other products and foods that they consume daily in a similar way,” said Nguyen. In “Caffeinated,” viewers climb the mountains of Guatemala with coffee farmers, selectively pick coffee cherries, and meet the coffee farmers with Solanki and Nguyen, and the end result is an eye opening look at a beverage originally thought to keep us caffeinated, but could really be so much more. 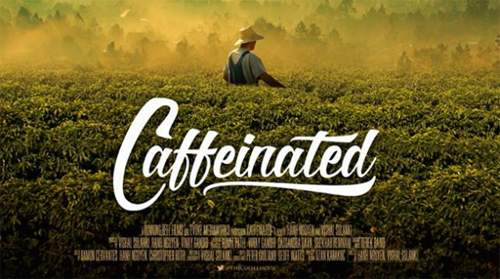 For more information about “Caffeinated,” visit caffeinated.vhx.tv.